Well after a couple of weeks work we have finished doing the metal repairs to the doors. 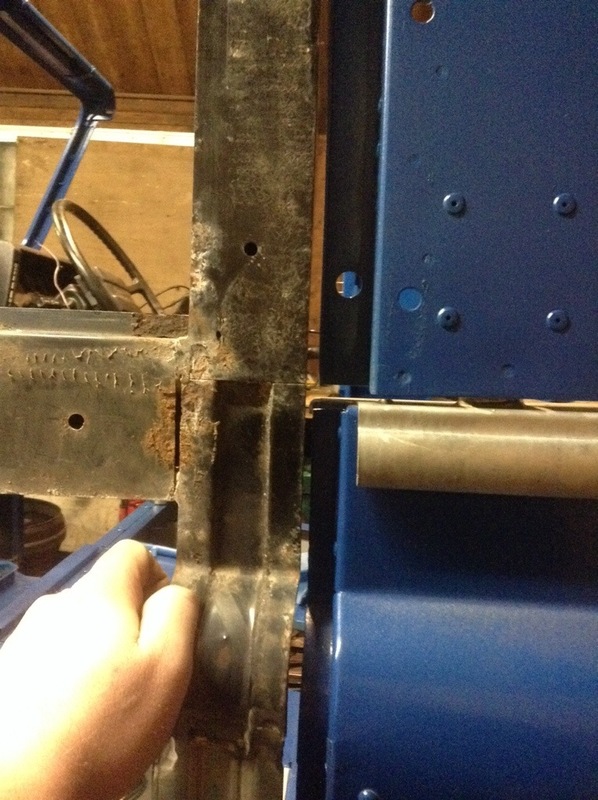 Where needed the doors have had the rusty frame cut out and replaced with home made sections. The N/S door was in need of a lot of work we replaced almost half the frame. 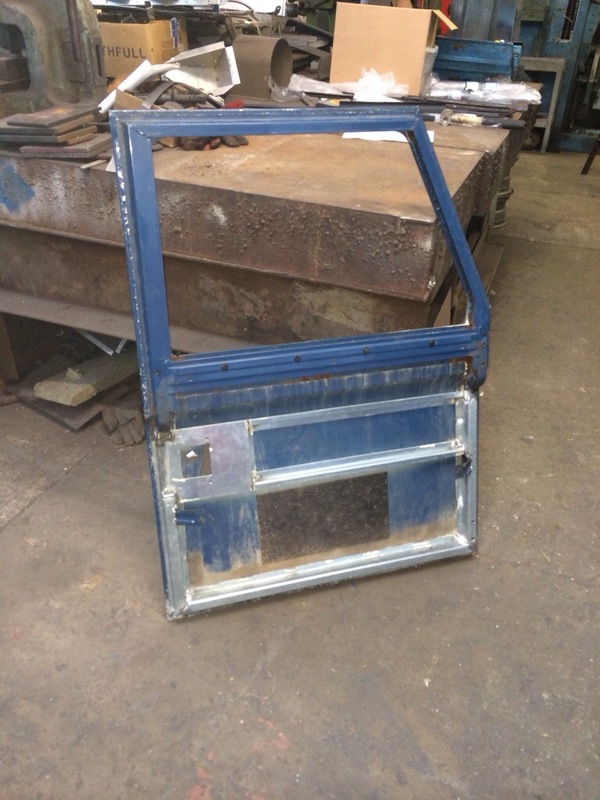 The Rear door was a little rusty plus also bent from a small collision a couple of years ago with a metal bollard. The rear door also had its main skin replaced as it was in too bad a state and not too expensive to buy. The front doors could do with new skins in time but the best price that we can find at the moment is £114 each, so it may be a plan in the future to make some ourselves. 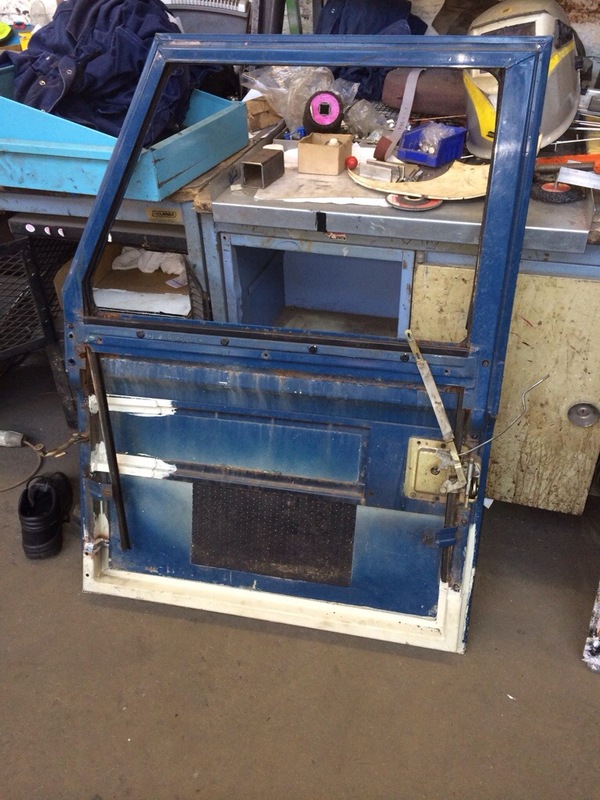 Soon we will be prepping the doors for painting then can be taken to the car after being built up again. 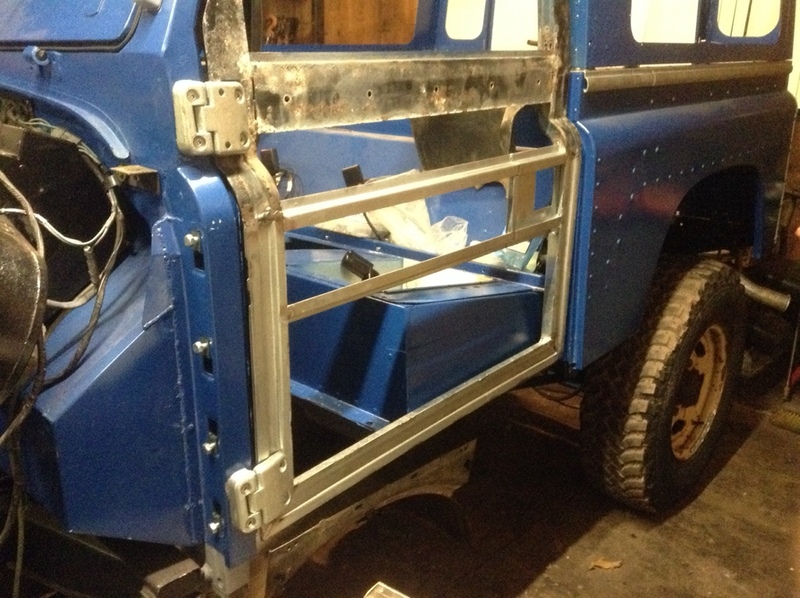 This entry was posted in Bodywork and tagged 1983 Ninety, doors, home made, Land Rover, painting, Parts, Progress, rebuild, Wirral on February 6, 2014 by landyrebuilds. Well after finishing the repairs to the near side door, we too it to the car and have test fitted it. the alignment looks pretty close which we are happy about, so far the body is pretty loose and should all come good in the end. Other progress made this week was more painting, this time the fuel tank has had a coat of chassis black paint and is bolted back in to place. 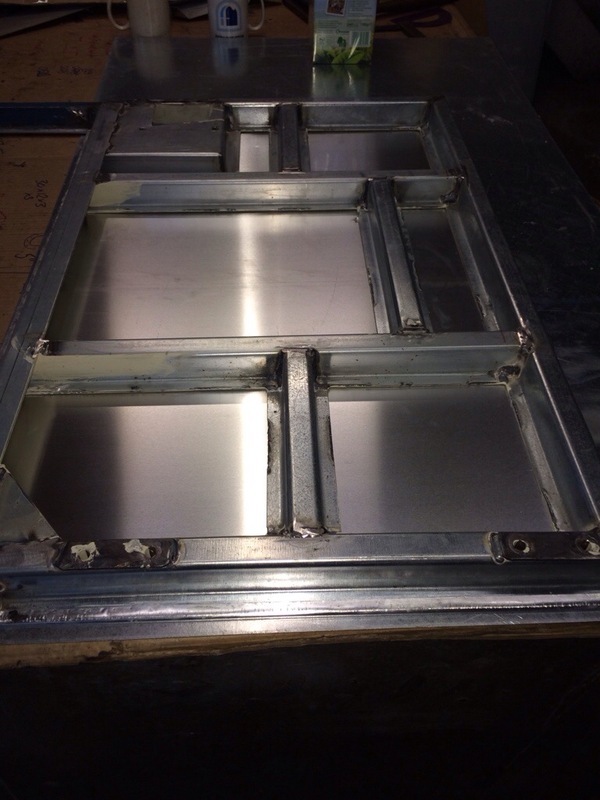 It will be coming out again soon so we can bolt in the inner sills then should remain in place. I have also purchased new filler hose, filler neck and breather pipe. Also have purchased a number of electrical items, including battery cable, an x-eng x-fan thermostat and a set of Carling Contura II switches for controls of some circuits that will be added in the future. The plan for the next couple of weeks is to prep and paint the roof, fit the x-fan and look to get the battery hooked up and test the circuits. 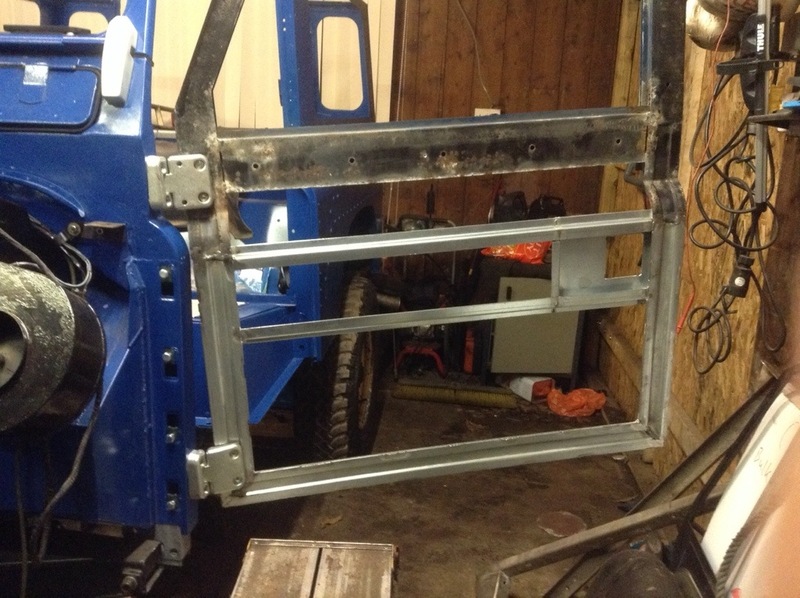 This entry was posted in Bodywork, Electrics, Parts and tagged 1983 Ninety, doors, fuel tank, Land Rover, lights, painting, Parts, Progress, rebuild, switches, Wirral, xfan on January 10, 2014 by landyrebuilds.